The T’Challa-led entry in the Marvel Cinematic Universe represents a lot of milestones, but the sheer artistry on display makes it one of the MCU’s best. It seems these days that a lot of particularly cynical film critics, and even a fair amount of audience members, roll their collective eyes whenever a movie with "Marvel Studios" emblazoned on its poster hits theaters. For so many people who attribute the cultural downfall of cinematic art to the onslaught of superhero movies, the nebulously defined "Marvel movie" in these peoples' rhetorical playbook is supposedly just like every other one that has come out over the past decade. Nevermind the fact that critics and audiences were legitimately taken with efforts like Iron Man, Captain America: The Winter Soldier, Thor: Ragnarok, or Guardians of the Galaxy as unique movie-going experiences, each with an emotional core, through-lines across different types of genres, and characters that were both well-written and well-performed. Marvel movies, contrary to the beliefs of some, are worthy of praise on their own merits in the best cases, even if they all generally have a lineage or narrative thread that binds them within the same shared universe. When trying to add director Ryan Coogler's Black Panther into that same kind of mix, though, the word "unique" doesn't seem to do it enough justice. Truly, Black Panther is likely the most visually and artistically stand-out movie in the entirety of Marvel Studios' filmography, and that largely seems to be because of one, primary factor: its inventiveness matches its ambition. Erik “Killmonger” Stevens (Michael B. Jordan) arrives in Wakanda to challenge T’Challa (Chadwick Boseman) for the advanced nation’s leadership. As a villain, Killmonger is one of the most relatable and formidable foes any MCU hero has had to face. 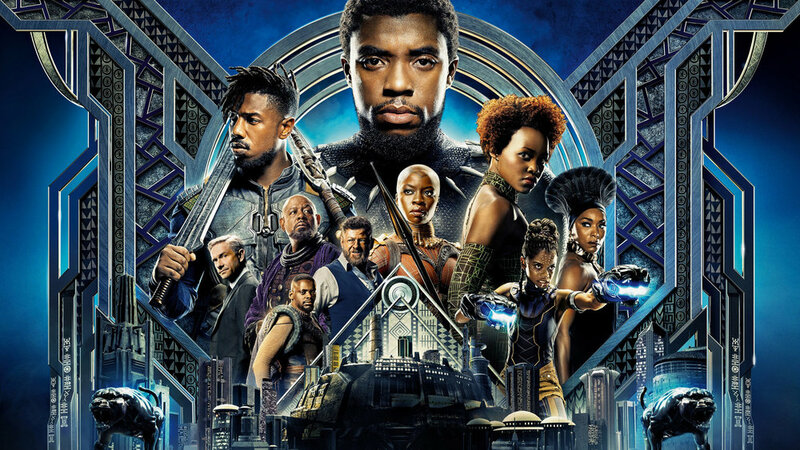 Adapted from the character first brought to life — like so many others — by the Marvel architects Stan Lee and Jack Kirby in 1966, Black Panther follows the story of newly-coronated King T'Challa (Chadwick Boseman), who oversees the extremely technologically-advanced African nation of Wakanda. Charged with protecting his people and their way of life, T'Challa is confronted with issues of global identity either never faced by his predecessors, or largely ignored by them. Because of their vast stores of the rare metal vibranium — the same material that Captain America's physics-defying shield is composed of — Wakanda has been able to advance their technological capabilities and quality of life decades faster than any other nation on Earth, but are also highly protective of their resources, shielding their true nature from the world. The conflict in the story comes both from at least one player we've seen before in the Marvel Cinematic Universe in the form of Ulysses Klaue (Andy Serkis), and one major new player: Erik Killmonger (Michael B. Jordan). Killmonger is a young man with a past that is both separate, yet connected to Wakanda, who has a goal of empowering oppressed peoples everywhere by bringing highly advanced Wakandan weapons to overpower and destroy their oppressors the world over. Knowing that this would cause complete global upheaval, T'Challa is forced to defend his nation, his throne, and his world from Killmonger's machinations, while also finding out what the real cost of his responsibilities truly are, and have been to other members of his family. Ryan Coogler's visual artistry with the camera in actually capturing and coordinating this film — particularly in highly-kinetic action scenes — shows off some of the absolute best composition that the MCU has on offer. Couple that with the brilliant and absolutely award-worthy production design of Hannah Beachler and the beautiful cinematography by director of photography Rachel Morrison, and you have a realized product that fully achieves its very high level of ambition. With an all-star cast, Black Panther feels as epic as its sweeping production design makes it look. Everyone plays their parts with dedication and emotional truth, only adding to the potency of the story being told. The performances are also all top-notch, with Boseman anchoring a wonderful cast of very solid actors, including but not limited to the aforementioned Michael B. Jordan, Angela Bassett, Daniel Kaluuya (Get Out), Lupita Nyong'o (12 Years a Slave, Star Wars: The Force Awakens), Martin Freeman (The Hobbit, Sherlock), Andy Serkis (Planet of the Apes, Star Wars: The Last Jedi), Danai Gurira (The Walking Dead), Letitia Wright, and Forest Whitaker. Clearly, Black Panther's cast is populated with very talented performers all contributing to one of the most narratively satisfying and visually stunning movies we've gotten in this young year thus far. The subtext of the story is also difficult to ignore, but works in the film's favor. What responsibilities come with power? How can it be responsibly wielded, while also accounting for past failures? What price, freedom? Really, the very apparent beating heart and consciousness in the film's message make it bitingly relevant for our time, which is a hallmark of any connective, contemporary experience regardless of its medium. Black Panther is a film that is most definitely of its time on several levels, and it's impossible to ignore the impeccable craftsmanship that goes into both the visual construction of the film, as well as the narrative makeup of the story it tells. Wakanda is a fully-realized modern vision of Afro-futurism, showing an alternative to more typical advanced societies by embracing what makes Africa a unique region of the world. All in all, Black Panther continues the Marvel Studios tradition of aligning talented filmmakers and performers to make a truly satisfying film, but the meticulous construction from performance, to design, to writing, to photography all combine into one of the best entries in the Marvel Cinematic Universe, bar none. Social media seems rife with superhero fans apparently rewriting their lists of favorite Marvel films after seeing this latest entry, and it's difficult to blame them: while it will likely have to overcome the stigma of being "a Marvel film" by cynical critics and audiences, Black Panther stands as a truly good film based strictly on its own merits. This stop in Wakanda makes for a perfect pit stop on our journey towards this summer's Avengers spectacular, but even without that connection, this is one cinematic effort that simply shouldn't be missed. Do yourself a favor and check it out, because chances are you'll be chanting by the time it ends: "Wakanda, forever."